The Turtle Warrior is the story of the Lucas family, who live in a beautiful and remote part of Wisconsin inhabited by working-class European immigrants and the Ojibwe. By 1967 the Lucas farm has fallen into disrepair, thanks to the hard drinking of John Lucas, who brutalizes his wife and two sons. When the eldest, James, escapes by enlisting to fight in Vietnam, he leaves young Bill alone to protect his mother with only his own will and the spirit of his brother to guide him. Beautifully written and deeply felt, The Turtle Warrior takes readers from the heartland of America to the battlefields of World War II and Vietnam weaving a haunting tale of an unforgettable world where the physical and spiritual, the past and the present, merge. Mary Relindes Ellis’s stories have been anthologized in Uncommon Waters: Women Write About Fishing; Bless Me, Father: Stories of Catholic Childhood; The Year’s Best Fantasy and Horror; and Gifts of the Wild: A Woman’s Book of Adventure. 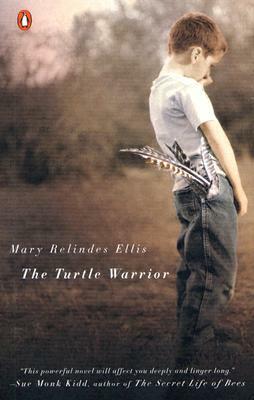 Visit Mary Relindes Ellis's website at www.maryrelindesellis.com.